Old style decorative fencing-wire infill is also called woven wire, scallop wire or rabbit fencing. The decorative wire is popular for use in gardens, especially those surrounding Victorian era-style homes and cottages. The fencing material is typically woven more densely toward its lower edge to keep rabbits and other small animals from getting into the garden. Once inexpensive and available from many fencing-supply stores, decorative fencing wire is more costly and often must be ordered from specialty fencing material stores in the U.S. Decorative fencing wire is available in a wide variety of styles. It is typically constructed of galvanized 10 gauge to 20 gauge wire. The most durable type is constructed of wire that was galvanized before weaving. Cheaper, less-durable types of decorative wire are made of thinner wire, coated with plastic. 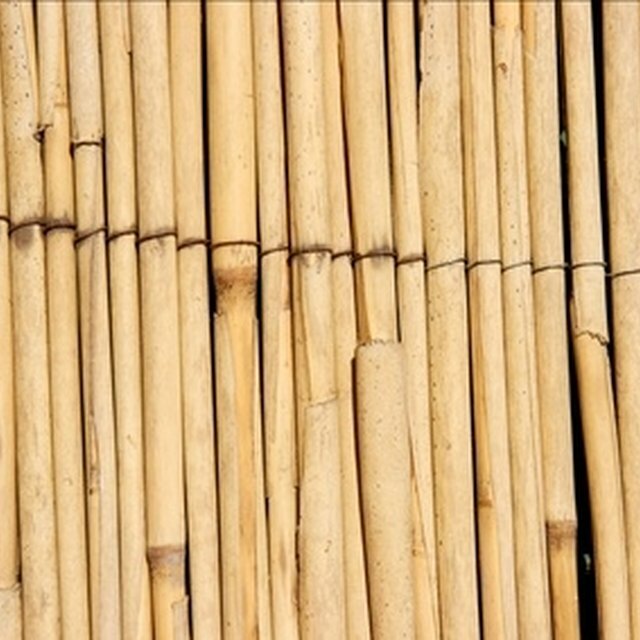 The fencing material typically has a straight lower edge and a decorative scalloped top. Building a wire fence is a simple and quick landscaping project. Wood fence posts are typically installed 6 feet to 8 feet apart. Two horizontal rails are evenly spaced and then screwed to the fence posts. If scallop-edged fencing is used, the upper fence rail is positioned to reveal the contours of the fancy upper edge. The fencing is stretched, then attached to the posts and rails with fencing staples. The price of decorative fencing wire depends on the quality of the material, height of the fence and on individual fencing manufacturers. As of October 2011, expect to pay $250 to $350 per linear foot of 36-inch-tall galvanized-before-weave wire fencing. Decorative fencing-wire infill is not currently available at most major US. home-improvement stores. You may need to conduct an online search to locate and procure the fencing material. Due to the weight of the material, expect high shipping fees to apply. What Kind of Metal Is a Chain Link Fence?